How can I share my product reviews? 1. 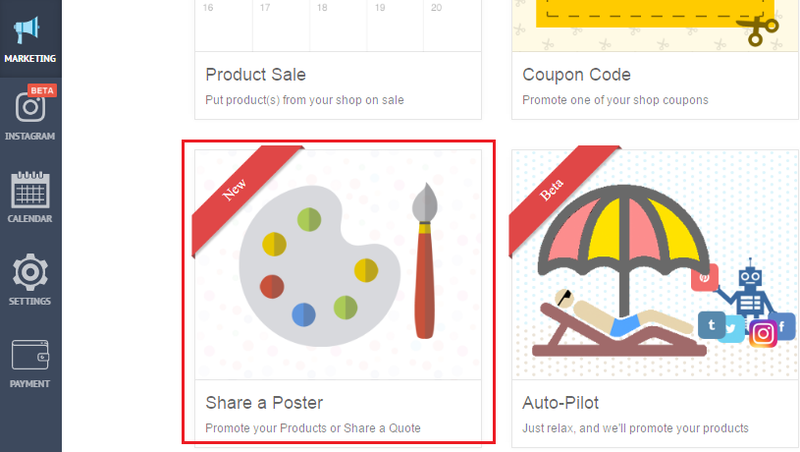 Go to Share a Poster under Marketing in your Socioh dashboard. 3. Go to Share a Review. 5. Your layout has different parts. Each part is labelled with the information that needs to go there. 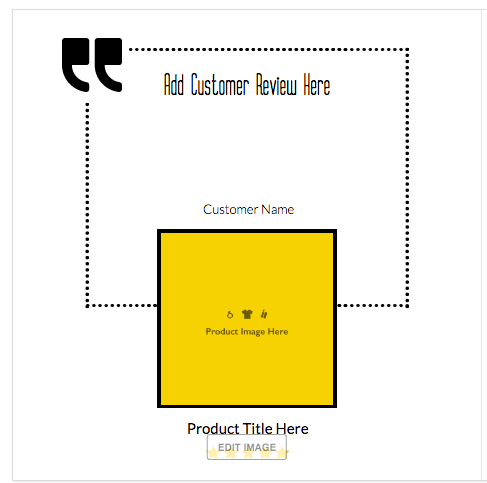 Yellow product image box - click on the box to add your product image. 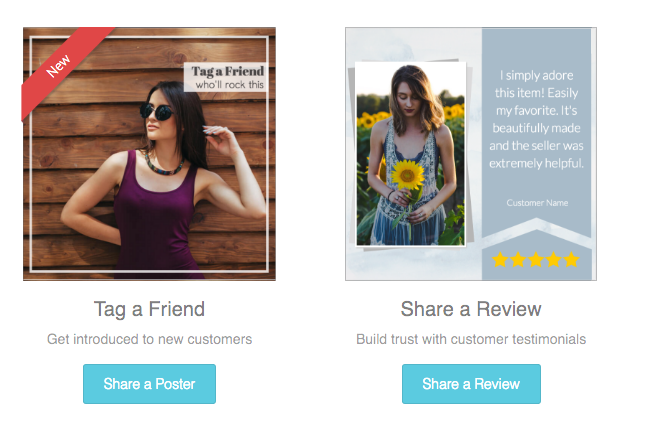 You can either use one your existing product images in the Socioh dashboard or upload a different one. Customer name - enter the information of the buyer who left you the review. Product title here - add your product title here. 6. Click on Done once you're through. 7. You can either post your review at that time or schedule it. Note: Customer Review Here, Customer Name, Product Title Here are text boxes and you will be able to copy paste text here.